With over 100 rides and attractions, Drayton Manor Park has so much to see and do this season, from adrenaline pumping rides to the fluffy red pandas in Drayton Manor's very own zoo. This year, the team are giving five lucky families the chance to win free tickets for the park! Opening for the new season on 27th March, Drayton Manor Park visitors will enjoy a summer of fun with over 100 rides and attractions, from adrenaline staples such as Maelstrom and Apocalypse, to family-favourites such as the Polperro Express – Drayton Manor Park’s own mini railway train. 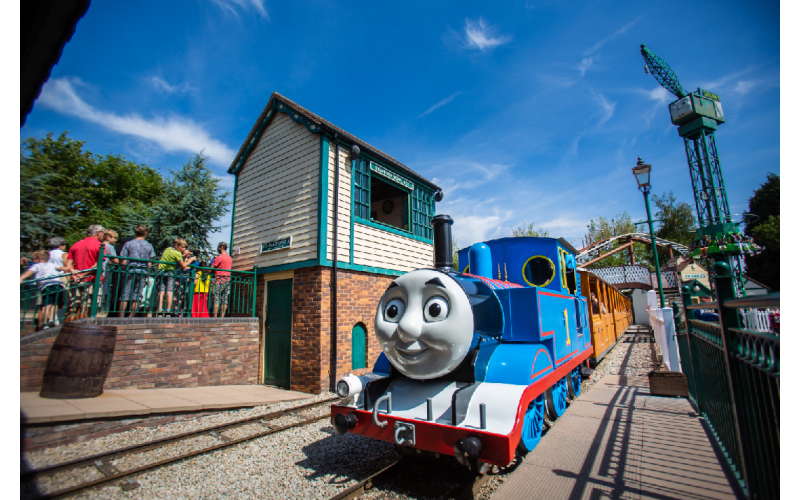 Drayton Manor Park is also home to Europe’s only Thomas Land, with 25 Thomas & Friends™ rides and attractions suitable for children and adults of all ages, from tot-friendly favourites to exhilarating mini coasters for seasoned theme park attendees. Families can also visit a variety of endangered animals at Drayton Manor Park’s conservation zoo, home to over 100 animals of all shapes and sizes, including the stunning Scarlet Macaw, curious Slender-Tailed Meerkat and fluffy Red Panda. Animal-lovers can learn all about tigers, red pandas, reptiles and more at Drayton Manor Park’s hourly zookeeper talks. This year, the park’s best-loved events will be returning, including the family-favourite Eggs-ellent Easter, with live Thomas Land shows starring the Fat Controller and his friends, and the infamous Halloween ‘More Tricks than Treats’ chocolate trails and events. There are lots of summer activities available, including Drayton Manor Park’s Zoo Clubs, where young visitors can become a zookeeper for the day, Coaster Club, where mini ride enthusiasts try their hand at ride designing, and Kidz Club; a fantastic opportunity for children to immerse themselves in the theme park experience and make new friends. Simply answer our competition question to be in with a chance of winning one of five Family Passes to Drayton Manor Park!